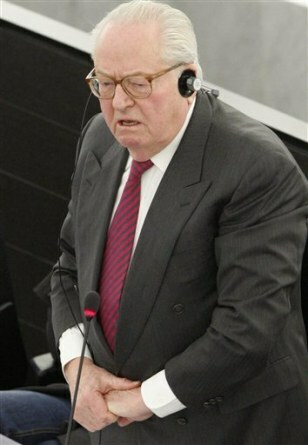 French far-right leader Jean-Marie Le Pen at the European Parliament in Strasbourg, eastern France, on Wednesday. Le Pen is in line to chair parliament's inaugural session after June's European elections. Traditionally, parliament's oldest sitting MEP opens the first session until MEPs elect a new president who then presides over all future plenary meetings.